Courtesy of Mike Blanche of Google, the map on the left shows in black countries who signed the treaty developed at WCIT, countries in red who indicated they wouldn’t sign the treaty, and other countries who are thinking about it. A country can always change its mind. Over the next few weeks that map will change, and the dust will settle. The fact that the developed world did not sign the treaty means that the Internet will continue to function relatively unmolested, at least for a time, and certainly between developed countries. As the places that already heavily regulate telecommunications are the ones who are signing the treaty, its impact will be subtle. We will continue to see international regulatory challenges to the Internet, perhaps as early as 2014 at the ITU’s next Plenipotentiary conference. Certainly there will be heated debate at the next World Telecommunication Policy Forum. This map also highlights that the ITU is the big loser in this debacle. Secretary General Hamadoun Touré claimed that the ITU works by consensus. It’s just not so, when matters are contentious, and quite frankly he lacked the power and influence to bring all the different viewpoints together. This loss of consensus has split the Union, and has substantial ramifications. There is no shared vision or goal, and this will need to be addressed at the next Plenipotentiary conference. With different sectors and diverse participants, it is hard to lump the Union into a single group. Nations come together to manage radio spectrum in the ITU-R. That’s important because spectrum crosses borders, and needs to be managed. In the ITU-D, both developing and developed countries come together to have a dialog on key issues such as cybersecurity and interoperability. The work of the -D sector needs to be increased. Most notably, their Programmes need even more capability, and the study groups should be articulating more clearly the challenges and opportunities developing countries face. establish accounting rates and regulatory rules based on economics and policy discussions. The first two functions are technical. The other are political. The invasion of political processes into technical standards development is also a fundamental issue. I offer the above division to demonstrate a possible way forward to be considered. The role of the -D sector should be considered in all of this. Hearing from developing countries about the problems they are facing continues to be important. The ITU-T and its member states will have the opportunity to consider this problem over the next two years, prior to its plenipotentiary meeting. There is a need for member states to first recognize the problem, and to address it in a forthright manner. What Does the Internet Technical Community Need to Do? For the most part, we’re at this point because the Internet Technical Community has done just what it needed to do. After all, nobody would care about regulating a technology that is not widely deployed. For the most part, the Internet Technical Community should keep doing what we’re doing. That does not mean there isn’t room for improvement. Developing countries have real problems that need to be addressed. It takes resources and wealth to address cybersecurity, for example. To deny this is to feed into a political firestorm. Therefore continued engagement and understanding are necessary. Neither can be found at a political conference like WCIT. WCIT has also shown that by the time people show up at such places, their opinions are formed. Finally, we must recognize an uncomfortable truth with IPv4. While Africa, Latin & South America still have free access to IPv4 address space, the rest of the world has exhausted its supply. Whenever a scarce resource is given a price, there will be haves and have nots. When the have nots are poor, and they often are, it can always be classed as an inequity. In this case, there truly is no need for such inequity, because IPv6 offers everyone ample address space. Clearly governments are concerned about this. The private sector had better regulate itself before it gets (further) regulated. Developing countries are also at risk in this process, and perhaps most of all. They have been sold the idea that somehow “bridging the standardization gap” is a good thing. It is one thing to participate and learn. It is another to impede leading edge progress through bloc votes. Leading edge work will continue, just elsewhere, as it has. 1 Cisco is my employer, but my views may not be their views (although that does happen sometimes). After over a year’s worth of preparation on the part of nearly every country on earth, today the WCIT conference fell apart, with the U.S., Canada, UK, and other countries refusing to sign the new International Telecommunication Regulations (ITRs). They all had good reason to not sign. Never fear! The Internet is still here and open for business. Treaties have failed before and yet the world goes on. put into play regulation of Internet Service Providers (ISPs), and would have required governments to impose international obligations on them. challenged the role of the U.N. security council, and whether U.N. sanctions could apply to telecommunications. went headlong into cybersecurity and spam, without any real basis or understanding for what it would mean to do so. worst of all ran headlong into Internet governance, challenging the flexible approach that has grown the network from nothing to 2.5 billion people. This was never going to be an easy conference. It has been clear for many years that the developing world has very different views from the developed world, and the views of Russia, China, and Iran are quite different from those of the U.S., Canada, and Europe. In the end, the gulf between these worlds was too great. 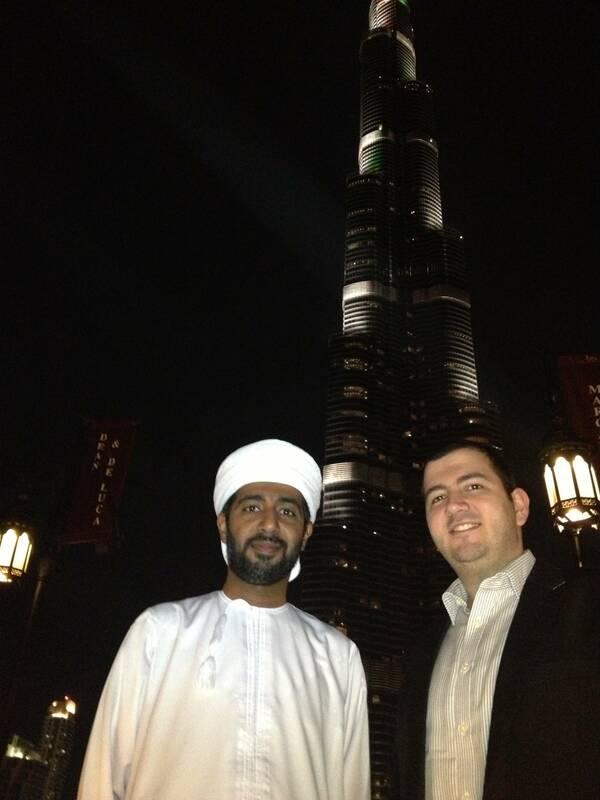 I extend my sincere thanks to those who spent many tireless hours in Dubai in defense of the Internet. A partial list includes Markus Kummer, Sally Wentworth, Karen Mulberry, and Leslie Daigle of the Internet Society; Chip Sharp, KY Hong, Hosein Badran, and Robert Pepper of Cisco Systems; Adam Gosling of APNIC; Patrik Fältström of NetNod; Phil Rushton of BT; Mike Blanche, Sarah Falvey,and Aparna Sridhar of Google; Tom Walsh of Juniper; Anders Jonsson of the Swedish Administration; Dr. Richard Beaird, James Ennis, Vernita Harris, Ashley Heineman, Joanne Wilson, Franz Zichy, and many others from the American Administration; and Dr. Bruce Gracie, Avellaneda, and Martin Proulx from the Canadian administration. These people spent many weeks away from their families, both in Dubai and in preparation. This was not the result they were hoping for. A special thanks to Vint Cerf, who travels the earth to keep the Internet bringing communications to all. What’s WCIT about? It depends on who you ask. And WCIT is not about Internet governance. WCIT is about making sure that we connect the billion people without access to mobile telephony, and that we connect the 4.5 billion people who are still off line. 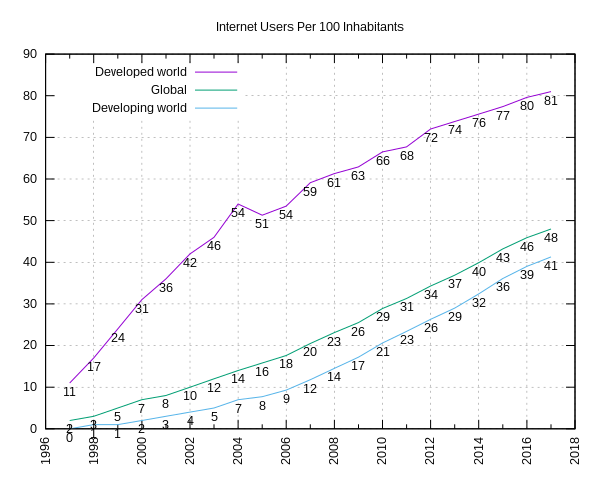 Let’s first take a moment to celebrate the fact that 2.5 billion people have access to the Internet, and that the rate of Internet penetration has grown at a rate of 14% over the last few years to 35%, according to the ITU’s own numbers. That’s great news, and it leads to a question: how shall WCIT focus on improving on that number? How have the International Telecommunication Regulations that have served 2.5 billion people not served the other 4.5 billion? Unfortunately, none of the proposals that have been made available actually focus on this very problem. Instead, at least one prominent proposal from Russia focuses on… Internet governance. Let’s wish the Secretary General great success in persuading Russia and other governments that indeed that is not what this conference is about. Author EliotPosted on December 6, 2012 December 6, 2012 Categories Internet, PoliticsTags Internet, Internet Governance, ITU, WCITLeave a comment on What’s WCIT about? It depends on who you ask. As I wrote earlier, WCIT is now taking place in Dubai. This conference could impact your ability to use the Internet, either by stifling growth due to encoded business models, or by mandating specific standards, rather than allowing creativity to flow. We have the opportunity to listen to parts of this conference, specifically plenary and whole committee meetings. After a tremendous amount of pressure, the participants of that conference have allowed open access to the streaming. You can access the streams at the ITU web site. To be sure, it’s a fairly technical conference. If you listen in and have questions, you can join an XMPP chatroom. If I’m around I will answer your questions. You can also post them here, although in either case I may not have the answer. I am just back from the World Telecommunication Standardization Assembly (WTSA) in Dubai, United Arab Emirates. The conference itself sets terms and work plan for the standardization sector of the International Telecommunication Union (ITU) for the next four years. This was a political conference, where much jockeying for position ahead of the World Conference on International Telecommunication will occur this week. There were debates over seemingly innocuous definitions and terms, like ICT or Operating Authority versus Recognized Operating Authority. I was part of the delegation from ISOC as the IETF liaison manager, which meant I mostly observed the proceedings, occasionally speaking with representatives from various countries. Dubai itself is a lovely city with many activities. While I’m not sure I could get used to its summer temperatures, in November we enjoyed a pleasant 27°C, with a bit of a breeze. Our hosts were quite generous and made us feel welcome. I didn’t get a chance to do much sight seeing, but what you are looking at below is my colleague Tony with a friend Mahmoud from Oman, in front of the world’s tallest building, the Burj Khalifa, one of the most beautiful structures I have ever seen. It is rounded and terraced every 10-15 floors. We were by the Dubai fountains which themselves are an enjoyable spectacle.